Password recovery tool for Quicken (*.qdf) files. 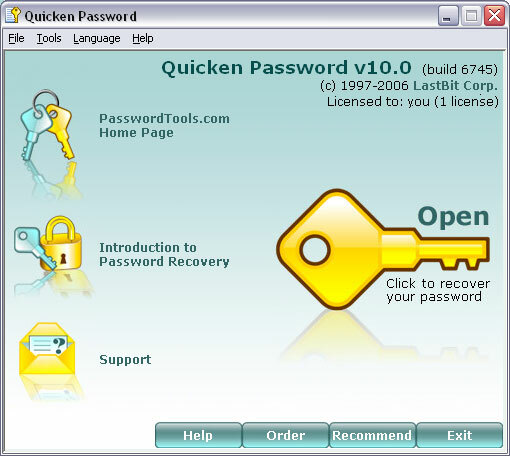 There are two types of passwords used in Quicken: a password for opening a data file and a transaction password. You have to find the password for opening the file first; then you can recover the transaction password. Brute Force Attack, Dictionary Search and Smart Force Attack methods must be used to recover password for opening the file. The transaction password is recovered instantly.